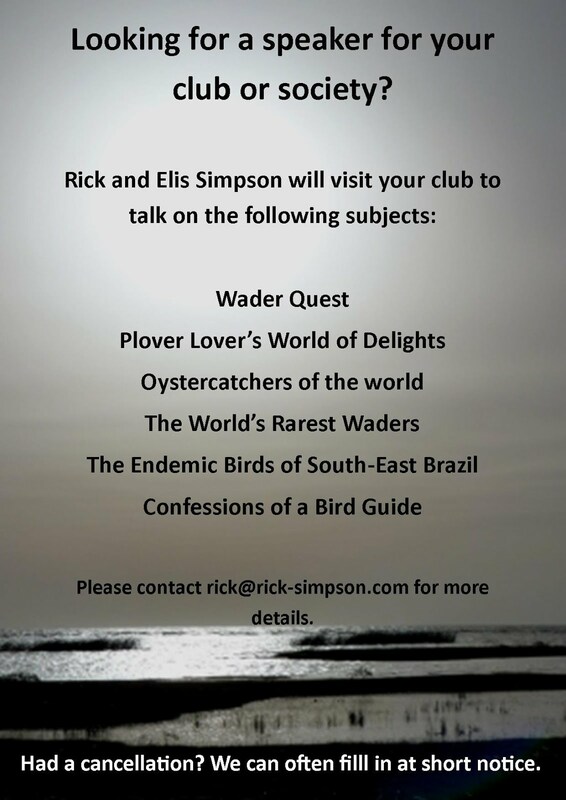 Rick Simpson Birding: Visit to Campinas. On our way back to São Paulo from Minas Gerais, we decided to stop over and visit Carlos Henrique and Viviane im Campinas. Carlos is a guide that has helped me out many a time with clients when I have been double-booked and since leaving Brazil. he is an excellent guide and I thoroughly recommend his services if you are hoping to bird in south-east Brazil. Carlos helping me clear up some doubts I had about birds we had seen in Minas Gerais. The reason for our visit, apart from seeing old friends, was to exchange books. I presented him with a copy of Confessions of a Bird Guide and he presented me with a copy of Aves do Campus da Unicamp e Arredores which he had co-authored with others including our friends Arthur Macarrão and Milena Corbo. Me, Elis, Viviane and Carlos, complete with exchanged books. He also presented me with a copy of a book written by a series of authors Monte Mor, a vida às margens do Capivari about the wildlife to be found in the Capivari region. Arthur and Milena had written the section about birds and it was she that had left the book with Carlos to present to us. present to us. Both of these books have been published by Avis Brasilis which is run by another friend, the artist Tomas Sigrist. Our time with this charming couple was all too short and we had to return to São Paulo the next day, but we had a great evening catching up and thank Carlos and Viviane for their generous hospitality. Urban birding in Lima, Peru.